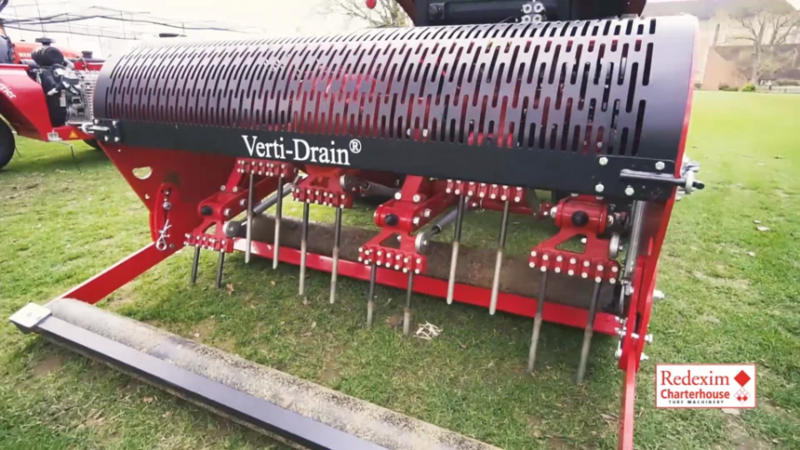 The iconic Verti-Drain® from Charterhouse continues to set the bar when it comes to aeration, helping leading turf managers around the world to achieve optimum soil conditions. The Verti-Drain® 7316 is an efficient machine for use on sports fields and all areas of the golf course. This machine offers a working width of 1.6m and a variable working depth of up to 300mm (12”). Its high work rate means it can aerate up to 4,200m2/h. The PTO driven 7316 model comes as standard with ½ x 10” tines, front & rear rollers and quick central adjustment controls for optimum results. It is robust enough to cope with most ground conditions, heaving the ground to shatter compaction, but light enough to be used on golf greens without the risk of causing major surface disruption. It is suitable for tractors of 27hp+. 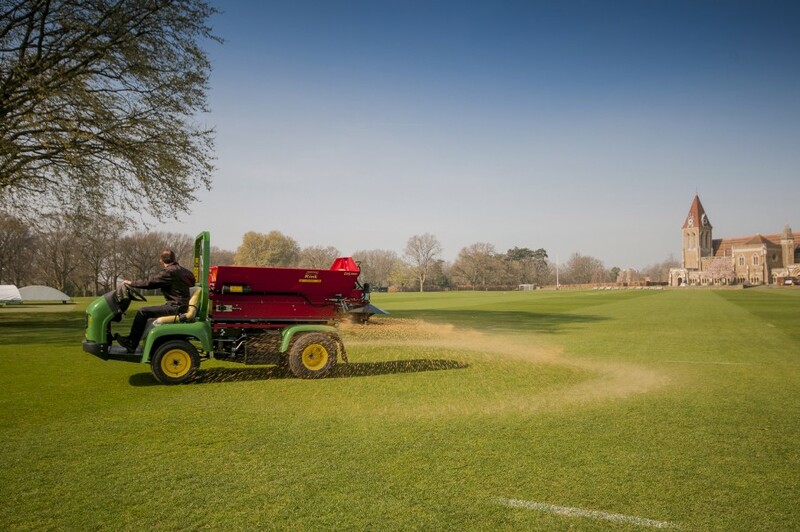 Within the Redexim Verti-Drain® range are machines to suit all surfaces and applications, from smaller units for work on golf greens, through to high work-rate units demanded by busy sports turf contractors. The range spans working widths from 1.0m to 2.6m, offering variable working depths and a selection of different tine options. Using the Verti-Drain® with a range of different tine options can maximise the effectiveness of aeration work conducted throughout the year. 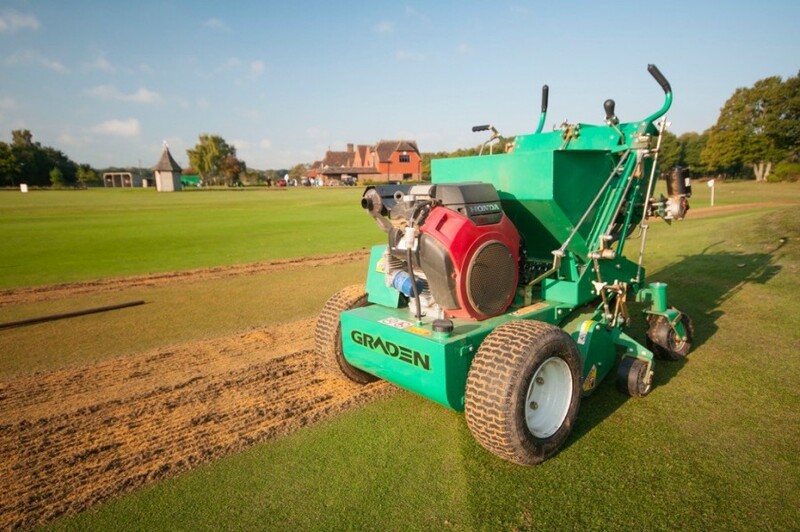 Micro-tining can be employed during periods of drier weather to help keep the surface from “capping” over and create a path down through the profile, helping to maximise the effects of irrigation and nutritional programmes. During the winter months, deep aeration to say 12 or 14” during any relatively dry periods will help to keep surfaces playable; draining and free from puddling. To get the very best out of your Verti-Drain®, Charterhouse also provide a range of genuine tines. Whilst spurious tines may be a little cheaper to purchase in the first instance, it is rare that these parts will deliver the lifespan or wear tolerance of the genuine article. A turf management programme conducted with well-maintained equipment will pay off in both the health and presentation of a surface.